Long Grove, IL: December 16, 2016 – TZA, a leader in labor management software and services, has been named to the top 100+ technology and solutions providers by Food Logistics, the only publication dedicated to the grocery and foodservice supply chain. For more than a decade, the editors of Food Logistics have profiled the top software and technology providers, and the FL100+ list serves as a guide to the solutions that are critical to the food and beverage supply chain. TZA’s ProTrack Labor Management Software is the only labor management solution recognized in the FL100+. ProTrack provides industry leading capabilities that enable companies to achieve workforce productivity gains of 10% to 30% or more across their distribution, manufacturing, administration and delivery operations. 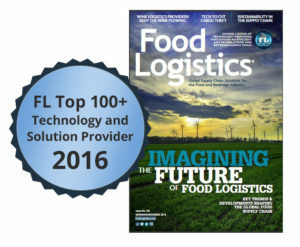 The annual FL100+ is featured in the November/December issue of Food Logistics and online at Food Logistics.